A Portable Document Format file (i.e. a PDF file) is a handy and very popular format for creating documents. Its popularity lies in the preservation of formatting that it offers. Essentially, when you use a PDF format, the document you create is formatted in a way that will not change, no matter what software is used to open it. There is, however, also another reason why PDF files are popular; the PDF format makes it easy for the author to protect his or her work from plagiarism, as text is difficult if not impossible to copy and paste into a new document. PDF files are therefore the go-to format for licensed material such as e-books. Select the “Security” option in the Advance option. Choose “Password Encrypt” from the list of available features. You will see a pop-up window asking if you want to change the security settings of the document. Click “OK”. A “Password Security Settings” window will open. Click on the “Require a password” check box. Type a password in the “Document Open Password” field. Your PDF file is now password protected. Sometimes there is a legitimate need to unlock a PDF document for editing. If you are reading this, you are probably searching for a way to extract text from a PDF file. Well, rest assured- there are ways to unlock a PDF file. There are many PDF unlocking tools available online that are very simple to use. We outline the steps below. Locate a free online service that facilitates the unlocking of PDF files. There are so many available and we recommend to take a minute to find the best one for your file and computer. Simply upload the file you need to unlock and follow the prompts that the tool provides. If asked for the password, enter it. When the unlock process is complete, download the file and open it in a PDF reader. You will now be able to edit the file, and extract text and images. Pretty handy, right? The above process works great for PDF files that are your own and/or you know the password. But what do you do if the PDF document that you want to unlock has a password and you don’t know it? Most PDF unlocking services allow you to edit and extract text and images from any PDF by removing passwords. However, we recommend you to consider twice before editing a protected document without permission. Copyrights should always be respected. If you want to use or share any information on a protected PDF publicly, contact the copyright owner and ask for a permission. Most people will be honoured to be quoted as long as you are referring to the original source correctly. 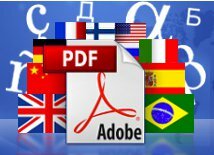 But if you just want to unlock a document only for your own use (to be able to translate it, for example), a PDF unlocking tool can ease your life remarkably. Is reputable. Check reviews online. Some are scams that are set up just to collect your email address. Protects the security and privacy of your document. Preserves the formatting and layout of your document. Next Next post: Why Is It So Hard to Find the Best Machine Translation?